The recognition of the synovial tissue, as the primary target of inflammation in RA, has driven research in this field, not only to clarify the disease pathogenesis but also to evaluate local changes in response to treatment. Special interest has been given to the identification of sensitive synovial biomarkers that could be of help in demonstrating proof of principle in early stages of drug development. Synovial sublining macrophages have been shown to correlate with scores for disease activity in cross-sectional studies. Moreover, decreased disease activity as measured by the disease activity score evaluated in 28 joints (DAS28) after effective treatment, has consistently been associated with a reduction of the number of CD68+ synovial sublining macrophages across different therapies. This observation highlights a possible final common pathway in the mechanism of action of various therapies and supports the notion that macrophages have a central role in RA pathogenesis. When considering experimental therapies, the study of serial synovial biopsies in relatively small numbers of patients, in the context of proof of principle trials, successfully distinguished between effective and ineffective treatments. This attractive approach can be used during early drug development for screening proposes, supporting which new treatments have higher probability to be beneficial in a large scale clinical trial. In this paper we review the effects of RA treatments on the synovial tissue, including targeted therapies, with particular attention to their effect on synovial biomarkers. 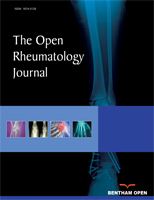 Keywords: Rheumatoid arthritis, synovial tissue, treatment, biomarkers, clinical trial design..
© Vieira-Sousa et al. ; Licensee Bentham Open.